When many Australian schools participated, our right-wingnut government told them to go back to their classrooms!!! I hope these teens across the globe succeed! Thanks so much for sharing this article with the Care2 community! 16 year old Greta Thunberg from Sweden is my hero! Power to them. Wishing them the best. TY. Kathy. I think those children are to be applauded, but where are the adults in all of this? 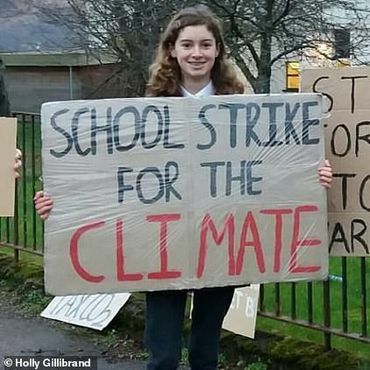 I think there is a Greta Thunberg in all of us; we should let her out. It cannot be left to the children alone to be proactive, so however old, let your Greta out and get busy, get going and DO.